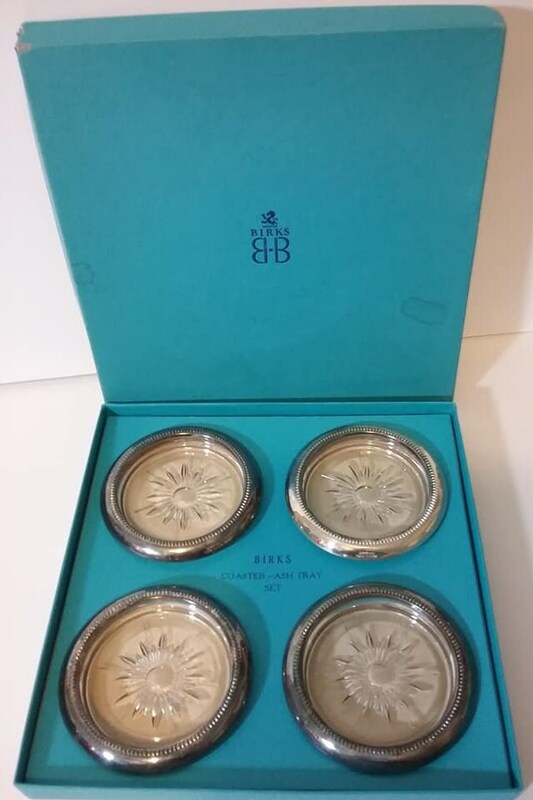 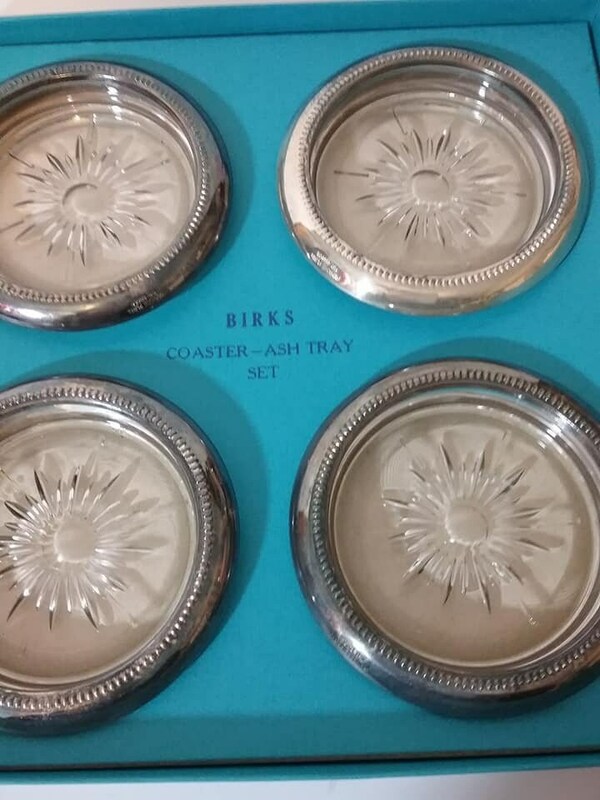 Birk's (High End Boutique) set of four glass and silver plated coasters or ashtrays. 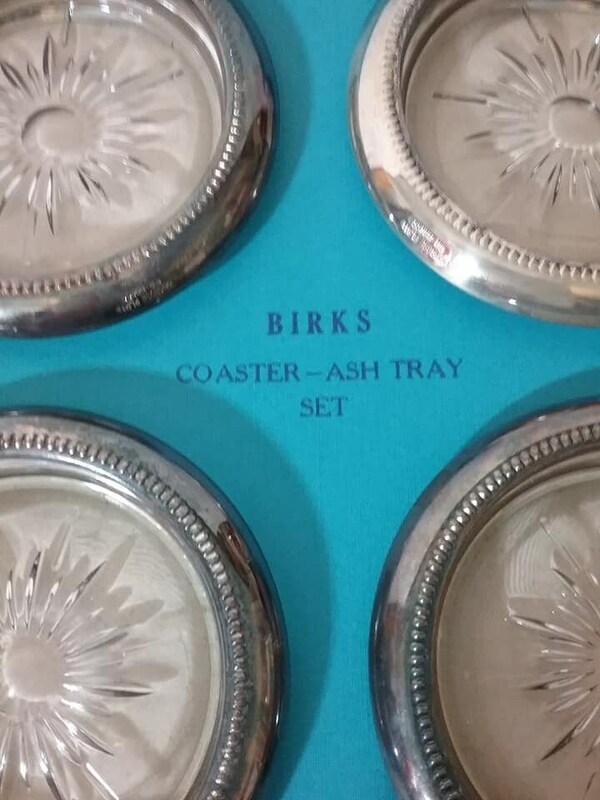 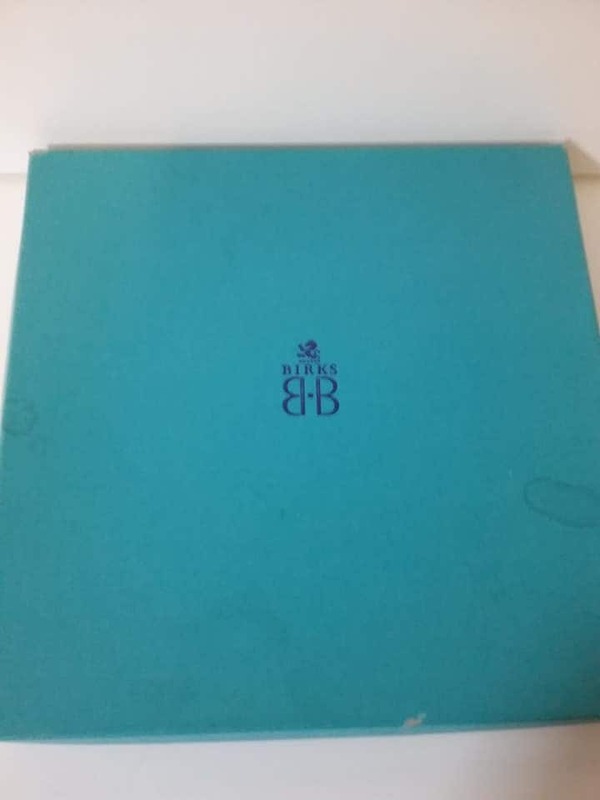 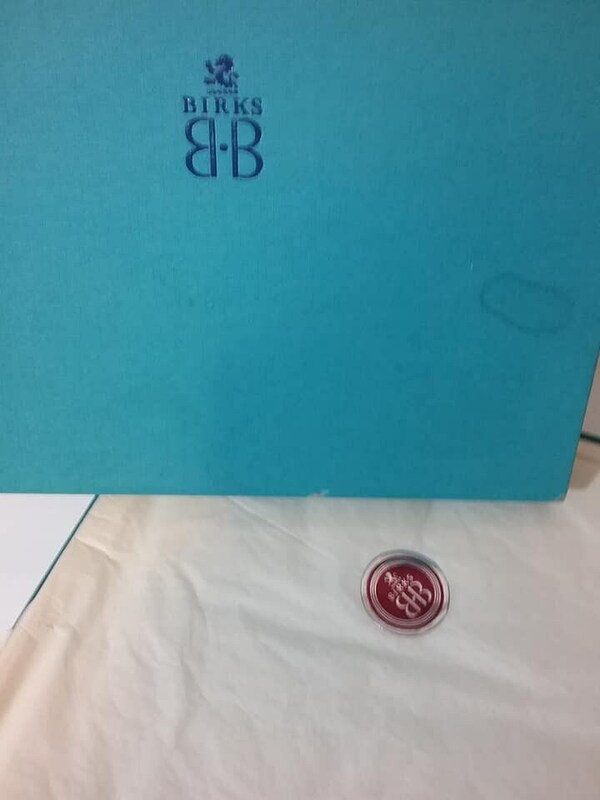 Comes in Birk's original packaging. 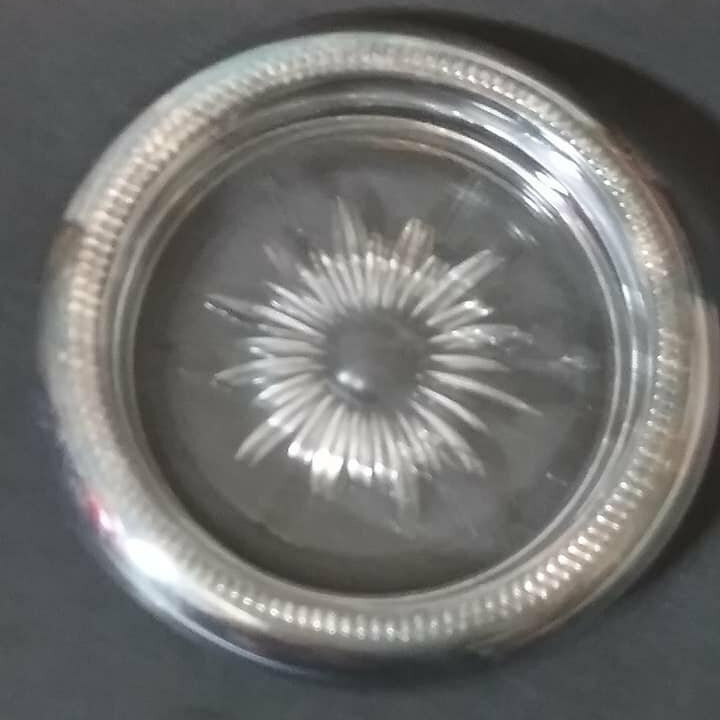 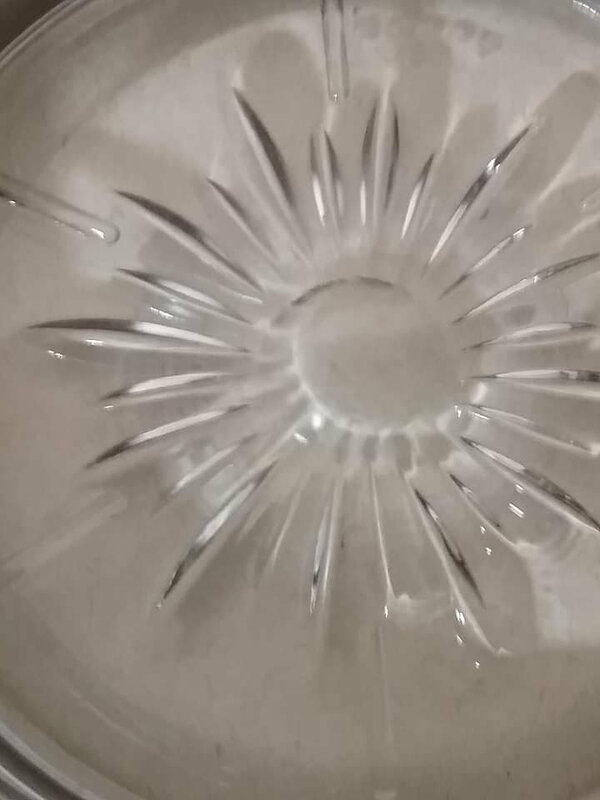 Glass trinket dishes have a carved starburst pattern. 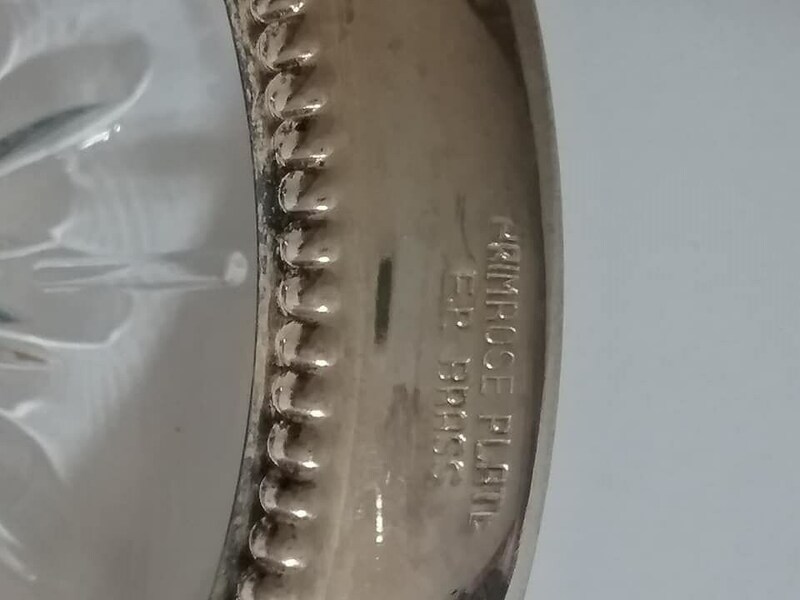 The glass is made in Italy. 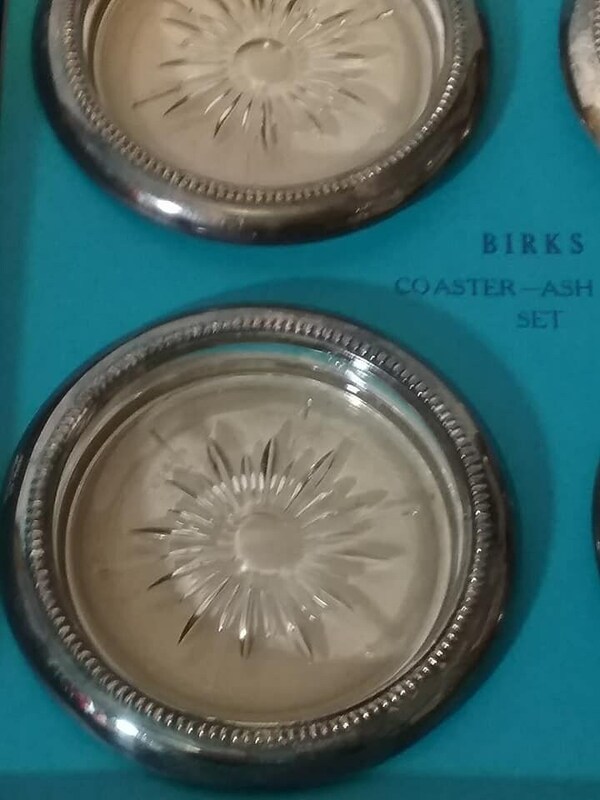 Each is 3.5" and are in excellent vintage condition. 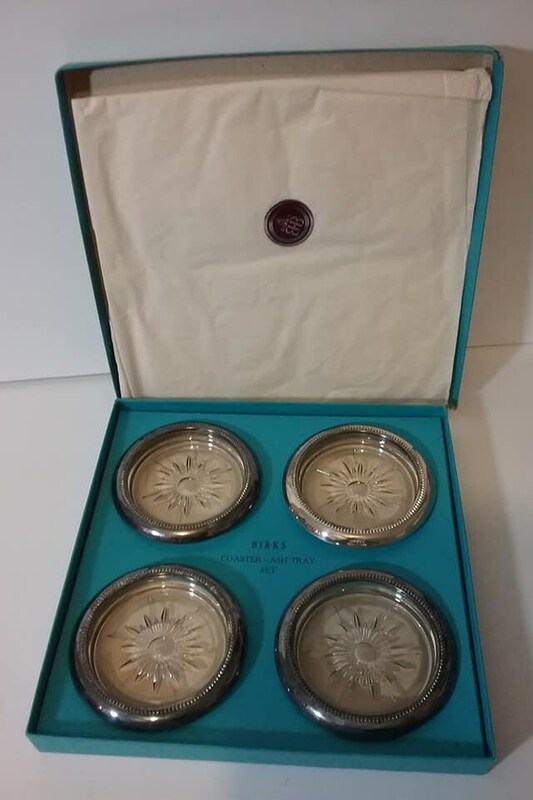 A beautifully, stunning vintage collectible set....a must have!